AUSTIN, Texas — The Harry Ransom Center at The University of Texas at Austin presents the exhibition “Ed Ruscha: Archaeology and Romance” from Aug. 11, 2018, through Jan. 6, 2019. One of today’s most influential artists, Ruscha (b. 1937) is renowned for his category-defying synthesis of words and images, and for his deadpan renderings of the roadside landscapes, commercial signs and vernacular architecture of Los Angeles and the American West. Featuring more than 150 objects, this exhibition presents Ruscha’s celebrated books, photographs, drawings and prints alongside unpublished archival production materials, layout sketches and studio notebooks, providing visitors an unprecedented look into Ruscha’s creative process. Ed Ruscha (American, b. 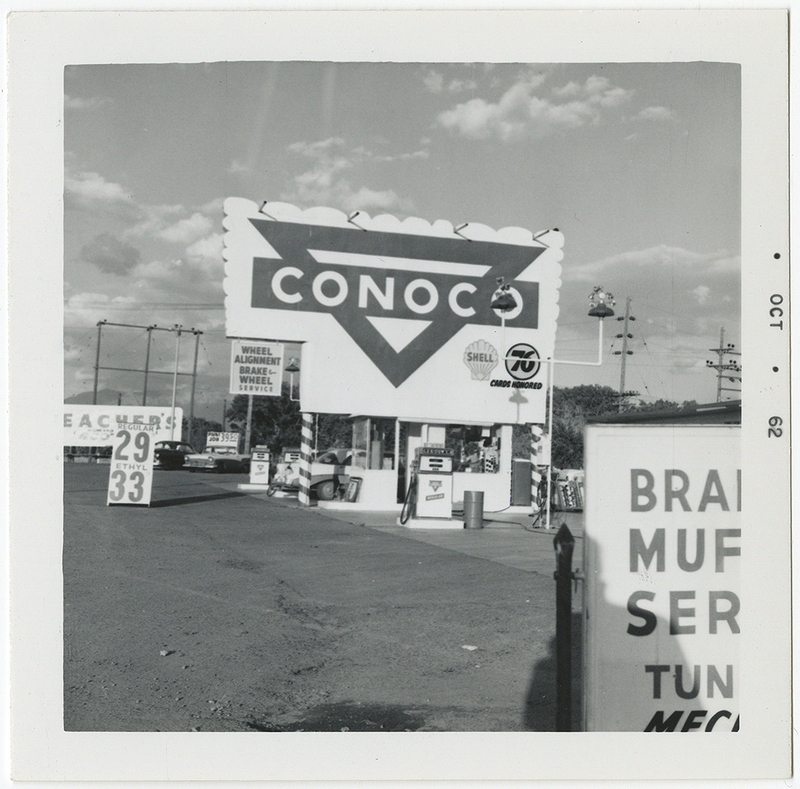 1937), Conoco, Albuquerque, New Mexico, from Twentysix Gasoline Stations, 1962. Gelatin silver print, 8.8 x 8.9 cm. 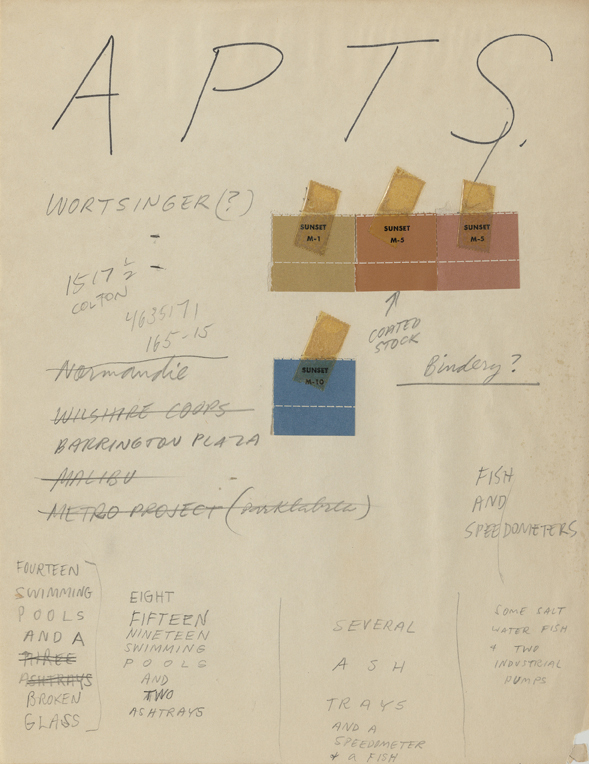 Edward Ruscha Papers and Art Collection, 2013.39.6 © Ed Ruscha. Courtesy Harry Ransom Center. Ed Ruscha (American, b. 1937), Preliminary notes, Some Los Angeles Apartments, 1965. Ink and pencil on paper with color chips, 27.9 x 21.5 cm. 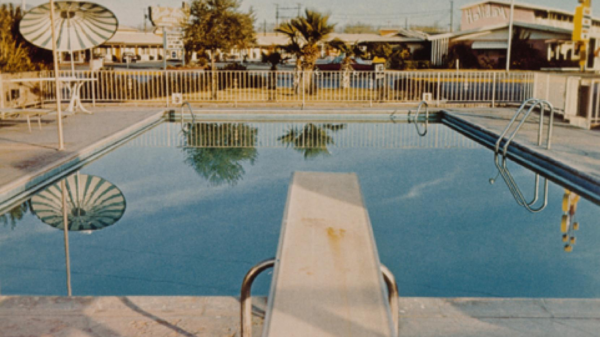 Edward Ruscha Papers and Art Collection, 1.8 © Ed Ruscha. Courtesy Harry Ransom Center. Ed Ruscha (American, b. 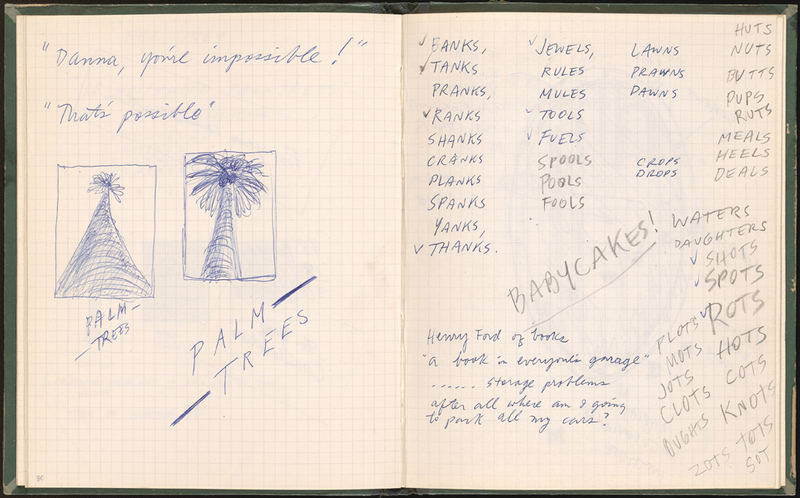 1937), Studio notebook, 1967–1969, with preliminary notes and sketches for A Few Palm Trees, February 1969. Ink and pencil on paper, 22.2 x 36.2 cm (open). Edward Ruscha Papers and Art Collection, 17.10 © Ed Ruscha. Courtesy Harry Ransom Center.